In May Facebook has launched its first standalone VR headset, Oculus Go. Also, announced Oculus partnership with Next VR to bring the live events to Oculus Venues. Oculus is going to stream a handful of World Cup matches in virtual reality (VR), Select games will be live-streamed for free, courtesy of Fox Sports, Starting with Sunday’s face-off between Mexico and Germany, Oculus will stream four games via its social co-viewing app Venues. 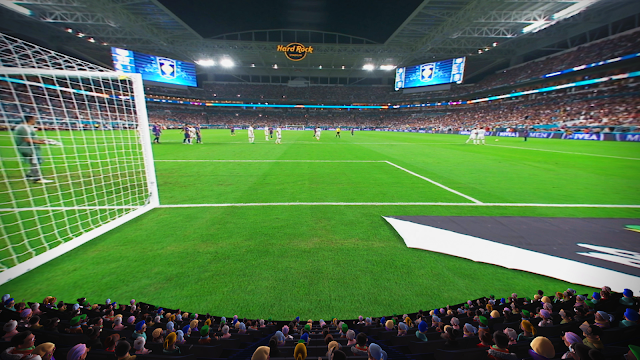 Other matches to be streamed via Oculus Venues include Portugal vs. Morocco on June 20, Brazil vs. Costa Rica on June 22 and England vs. Panama on June 24. These games can be viewed via the Venues app on Oculus Go and Gear VR, where UK can see BBC Sports VR programming, while US viewers can watch Fox Sports. Oculus Venues is Also compatible with Samsung VR. There's a selection that's only available to Gear VR owners, though: Viewers in Argentina, Chile, Uruguay, Venezuela, Colombia, Ecuador, Peru, can watch DIRECTV Sports VR; Those in Greece can watch ERT VR; In France, MYTF1 VR: Coupe du Monde de la FIFA; Australians can enjoy SBS } Optus FIFA; and Telemundo Deportes VR programming is available in the US. All the above content must be unlocked in your region's app by authenticating through your pay TV provider. Oculus Venues launched last month, Users of the app can watch 180-degree live streams of concerts, sports events and comedy nights together with others in VR and also can talk to other avatars via voice chat.